​The finishing touches have just been made to your new home, and it’s now time to move in! But in all the excitement of building your new home, you’ve completely forgotten about the whole moving-in process and all the details and stress that can come with it. Moving can be a challenging process, so we’ve put together a simple moving guide to make this as easy and enjoyable for you as possible. If you don’t have family and friends available to help you move and you need to enlist the help of professional movers, this is a perfect place to start. Find out how much you can budget on moving expenses, and then call around and request quotes to find out which moving company is the right choice for you. As soon as you have your move-in date, be sure to make a reservation so that you’re not left without a mover last-minute. Moving companies are an excellent service and can significantly reduce the stress of moving for you, but don’t forget that it’s customary to tip the movers on the day of your move! Once you’ve gone through and decided what to keep; consider either hosting a yard sale or donating items to charities and non-profit organizations. What a great fresh start it is to move into your brand new home with peace of mind and no piles of clutter taking up needed space. The design of your new home will likely give you the chance to redesign your current living arrangements. A great tip to help you with this is to print or sketch out the floor plans for main living spaces and family rooms. These are the areas where space planning is essential due to large furniture and heavy foot traffic. Try to plan everything out on paper first (or at least have a good idea of what you want where) before moving day arrives. If you do this, it will be an enormous help so that you, your friends, family, or movers don’t have to use all your energy moving furniture around due to a lack of planning. You’ll all be glad for the proactive layout consideration, and moving day will pass without a hitch. Are you having trouble finding design and layout inspiration for your new home? 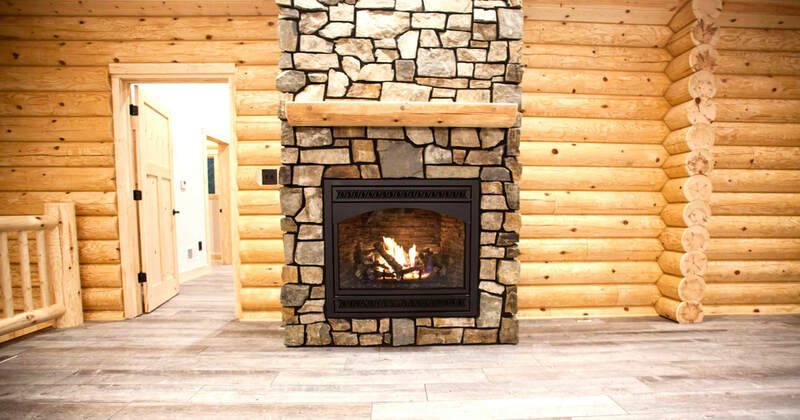 Check out our Complete Homes and Hiawatha Log Homes galleries to see how some of our new homeowners found the perfect home layout to fit their style and needs. Are you a new homeowner or thinking about becoming one? Here are 12 game-changing tips from homeowners of things they wish they would’ve known or thought of both before and after moving in. Scout your prospective home’s neighborhood. Go a few different times of the week and at different times of the day. Ask neighbors about the neighborhood, schools, etc. Their feedback will give you a real insider’s scoop on what kind of community you’ll be joining. Look at the neighborhood crime statistics. Before you buy, get a report of police calls in the neighborhood. If you've decided to move into a particular home, you may be able to work out a bargain price due to the crime rate of that area. Check the furnace filter before buying to get great insight as to whether or not the previous homeowner kept up on regular maintenance. Verify everything. Insist on full written disclosure from the seller about remodeling and repairs they’ve done, old damage, leaks, mold, and other things like that. Check with the city or county and get the property’s prior uses, zoning, permit history, homeowner’s association restrictions and anything else you can dig up. Give yourself extra room in your budget for unexpected trouble. If you purchase an old home and the furnace goes out a year after you move in, it won’t be a big deal if you've given yourself some wiggle room in your budget for problems like this. Offer to buy their tools too. If you’re buying your house from a couple who are trying to downsize, (the moving process is enough to inspire anyone to downsize), you might get a great deal on things like garden tools, tractors, snow blowers and more. Get a home warranty. See if you can get the seller to throw in a home warranty so you can have peace of mind your first few years in your new home. Start a Homeowner’s Journal. Buy a ring binder to organize all of your insurance papers, repair receipts, and anything else regarding your home. If you ever need to go back and reference any of this information, you'll know where to find it without having to dig. Plus, this will be a great help if you ever decide to sell someday. Ask neighbors about local professionals they trust. If you’re looking for electricians, plumbers, or other pros, check with your neighbors first to see who they’d recommend. Get to know your home before you commit to making any significant changes. Live in your home for at least a year before committing to any large renovations like adding an addition or tearing down walls. What initially bothers you about the house may change after you’ve lived there for awhile. Take on one project at a time. Don’t overwhelm yourself! You’ll end up with a lot of unnecessary stress and are more likely to burn out quickly when you have several projects going on at once. Finish projects soon after you start them. Don’t learn to live with incomplete projects. Otherwise, those last couple pieces of trim can linger for years! ​Remodels and projects for your new home can get overwhelming pretty fast. If you need help finishing a big project or are looking to get started on a remodel, Michael’s Homes is the Upper Peninsula’s go-to for remodeling solutions. Click here to take the first step toward a stress-free and innovative remodeling process with a free consultation! ​Did you know that living next door to a fire station could lower your homeowners insurance payments? Proximity to a firehouse is just one variable of many that can significantly reduce what you’re paying for homeowners insurance. Set aside time this week to review your homeowners policy and take steps to reduce the risk of loss so you can cut thousands of dollars from your premium payments over the life of the policy! Bundle your insurance policies. 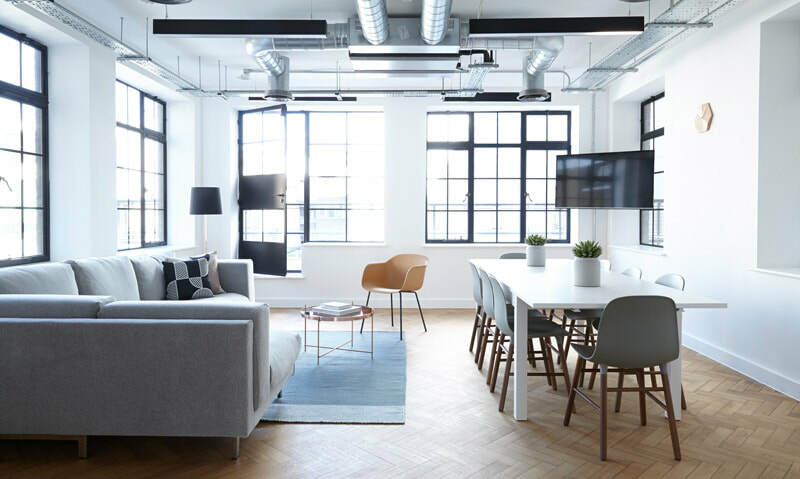 InsuranceQuotes, an online insurance marketplace, found that consumers could save an average of $314 a year by combining auto and home, condominium, or renters policies with the same insurer. In some states, the discount is even higher. Combining other types of insurance products, such as life insurance or an umbrella policy, may qualify for a bundling discount as well. The more business you give one insurance company, the more likely you are to get discounts. Home improvements - including the roof, windows, electrical or plumbing systems - can qualify for a discount as well. Many homeowners neglect to notify their insurance agent when they remodel. If you’ve remodeled recently, be sure to get in touch with your insurance agent to see if you qualify for a lower premium. If you’ve been thinking about remodeling already, this is just another great reason to do so. Michael’s Homes is the Upper Peninsula’s Remodeling Company of choice. Contact us today for a free estimate on your upcoming remodel project. Install a security system. A system that automatically dials police or the fire department can qualify for a 5% to 10% premium discount. Ask about discounts. This point is especially important if you’ve recently remodeled, added a security system or storm protection, quit smoking, or improved your credit. Other ways to save. There are more ways to reduce your homeowners insurance premium, although they don’t necessarily qualify as discounts. The first one is to raise your deductible. The higher your deductible, the lower your premium. The second one is to maintain good credit or focus on building your credit score if it’s in the low range. According to Ms. Adams with insuranceQuotes, customers with poor credit could pay double the cost of insurance as those with excellent credit. ​There are plenty of smaller things you can do or lesser-known discounts that might be available to you, depending on the insurance company. Anything from being a non-smoker to owning a home with “green” features like Energy Star appliances can affect your homeowners insurance premiums. Looking to start the year off on a good note? Review your homeowners insurance policy with the above points in mind, and start saving! ​It’s easy to get overambitious about your plans for the holiday season when it’s still just a light-filled, festive glimmer on the distant horizon. This year you decide you’re going to host the best holiday party this neighborhood has seen, bake ten different kinds of Christmas treats, and make your own gifts with creative homemade wrapping. It’ll be so much fun! Until you get overwhelmed, your energy fizzles out, and you’d like nothing more than to go into deep hibernation. To avoid the brutal holiday burnout, make your holiday plans with your future (and possibly tired) self in mind. After all, the holidays should be a time of enjoyment for everyone. Trap #1: Stressing over the “perfect” decorations. There’s no end to holiday decorating when you go all out with holiday lights (indoor and outdoor), a Christmas tree, special linens, plates, couch pillows, throws, and more. If you’ve been collecting your Christmas decorations for years, chances are it’ll take ages to put it all up. If the whole “decking the halls” brings you great joy, then, by all means, go all out! Just don’t be afraid to simplify if the process becomes more crossing things off a list than pure enjoyment. Trap #2: Baking way more cookies than your family needs. Once you start the holiday baking tradition, it’s quite easy for it to get out of hand. Eventually, you get to the point where you’re baking more cookies than can comfortably fit on your kitchen counters. Avoid the trap: Keep your holiday baking fun and low-pressure. Instead of putting the pressure on yourself to bake holiday treats for everyone you know, try to figure out the right amount of baking that will bring you and your family joy. There is no correct answer - just find the level of commitment that is right for you. Trap #3: Wrapping every gift in elaborate and creative design with ribbons, boxes, and bows. For some, wrapping gifts is one of their favorite activities of the season. However, the fun can quickly disappear when gifts begin to pile up and the “fun” wrapping party becomes a chore that you can’t wait to cross off your list. Avoid the trap: Keep gift-wrapping simple by mixing in reusable bags. You can still have fun wrapping some gifts, but keep some reusable bags on hand (including oversized ones for those hard-to-wrap gifts) so you can pick and choose where to spend your best gift-wrapping efforts. Trap #4: Sending fancy holiday photo cards. If you already have the perfect family photo to use for this year's holiday card, that’s one thing. If you have to wrangle together the children, pick out outfits, do hair, gather addresses, and choose a card design, consider passing on the holiday cards this year. Avoid the trap: Go for simple cards or wait until after the holidays. 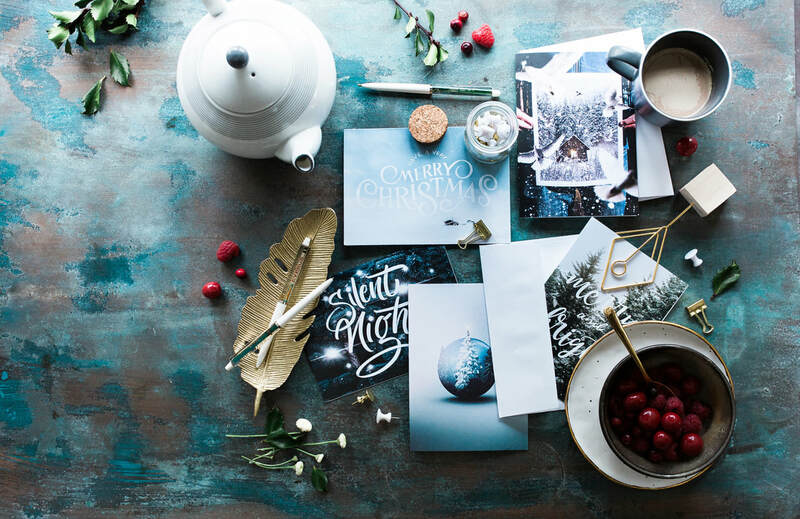 If you enjoy the tradition of Christmas cards but not the stress of a family photo shoot, consider sending a photoless card. Or you could wait until Christmas has passed and send out New Year’s cards instead. Trap #5: Overbooking your weekends. Events and holiday parties can drain our energy levels quickly. A weekend with more than one event (like a Friday night holiday party, big shopping trip, and a play) will likely leave everyone exhausted. Avoid the trap: Schedule your downtime. Make peaceful downtime a priority for you during the holidays so that you give yourself time to recharge and reset. Read a good book by the fire, sip hot cocoa, and take long walks in the snowy woods. Protect your downtime just like you do your most important meetings. Shoot for a perfect blend of high-energy events and low-key activities that allow you to make the most of the holidays while still keeping you recharged. When it comes down to it, it’s not the decorations, gift wrapping, or Christmas cookies that make this season merry and bright. While all these things help contribute to the festivity of the holidays, give yourself permission to slow down this holiday season and just enjoy the little things in life. You’ll be able to look back and recall how happy the season was instead of remembering only how stressed you were. So keep it light, keep it festive, and you'll have time to enjoy the things that matter the most. Tell us - what are you doing to simplify your holiday season this year? ​As temperatures continue to drop up here in the frozen Northwoods, those of us who have a fireplace in our home will be cozying up to it in warm bliss, while those of us who don’t have one will be wishing we did! A fireplace is one of those creature comforts that we don’t realize we’re missing out on until we’re at a friend’s house and we notice the crackling fire on the hearth and feel the warmth emanating from it. 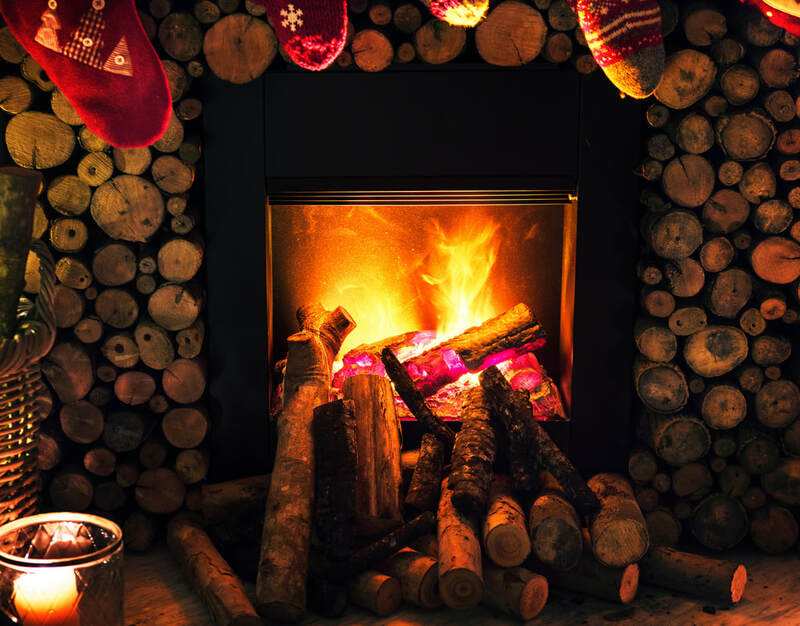 The cozy warmth of a fireplace is unmatched by any other heating appliance whether you have an open hearth, a fireplace insert, a pellet stove, or a wood stove. Watch the fire dancing as the outside cold melts away. Plus, fireplaces offer a cheerful setting to gather around the crackling flames with family and friends, to pull up your comfiest chair and sink into a good book, and enjoy countless other favorite indoor activities. When the weather turns frightful and the worst kinds of winter storms hit, electricity often goes out. With a fireplace in your home, you can transform these snowy gales into the coziest time of the year with a roaring fireplace. If you have a wood burning stove, you get the extra benefit of being able to cook on your heat source. Save a little money on your utility bill by heating soup or coffee on the stove as the fire warms your home. Or you can even cook a meal even when the electricity is out! With an open-hearth fireplace, you can still roast marshmallows and hot dogs on sticks. As electricity costs continue to climb, fireplaces are becoming an extremely popular primary heating source. In many instances, it can cost less to burn firewood than to heat your home using utilities that depend on fossil fuels. A fireplace gives you an opportunity to be less dependent on utility companies and their high costs. You can take charge of your fuel source including how much you pay for it, and where/how you obtain it. If you own a lot of heavily wooded property, you may even have an endless supply of free wood! By now, if you’ve already been considering a remodel or new home build in the future, you’ll want to add a fireplace to the top of the list of amenities to install. To learn more about your options or to find out what kind of fireplace would be best for you and your lifestyle, contact us today! We’re happy to help. Why Choose A Pella Certified Contractor? Contractors certified by a particular window or door manufacturer are part of a group of professionals who know their product inside and out. These professionals have gone through extensive training and certification to earn the title of Certified Contractor. Why does this matter to you? It means you can have complete confidence that the job will always be done right, and that their service is backed by a nationally recognized name like Pella, who you know and trust. Help you find the right replacement window or door solution for your home with our Free In-Home Quote. Expertly install your new windows or doors with the No-mess, no-guess installation guarantee. Back your new products with an industry-leading product warranty. Most homeowners are very conscientious about protecting their most valuable possession, so the peace of mind that comes with choosing a Pella Certified Contractor makes this choice an easy one. Michael's Homes has proven their commitment to bringing only the best to their customers by becoming the only Pella Certified Contractor in the Upper Peninsula. Contact us today to schedule a free consultation! 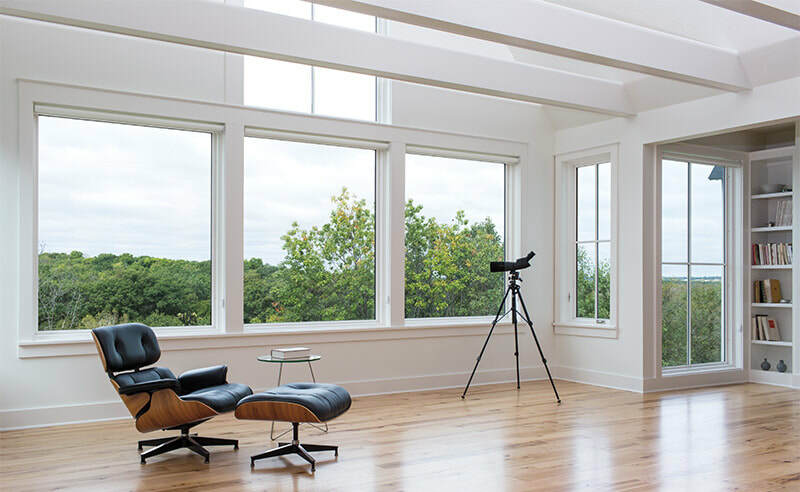 WINDOW MATERIAL GUIDE: WOOD, FIBERGLASS, OR VINYL? If you’ve started building a home and shopping for windows, you’ve probably run into an overwhelming amount of questions. 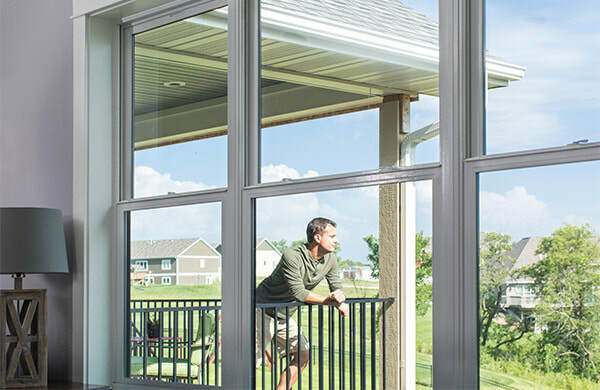 Which Pella® window style is more important for my home - casement, double hung, or something else? How important is energy efficiency, and how much of a difference will it make in heating and cooling costs? Everybody goes through this whirlwind of questions, but we’re about to make this a bit easier for you. One of the most important questions you will ask is this: Which window material will work best for my home? You'll probably choose between the most common options: wood, fiberglass, or vinyl. All three of these options meet ENERGY STAR® guidelines in all 50 states, so what are the unique qualities and distinctive styles that set each option apart? First, consider the features and benefits of each. Once you've done so, choose the option that works best with your budget, lifestyle, and climate. Make sure you see the materials in person before making a final choice. You might find that you actually like or dislike the style, appearance, or construction of one more than the other. 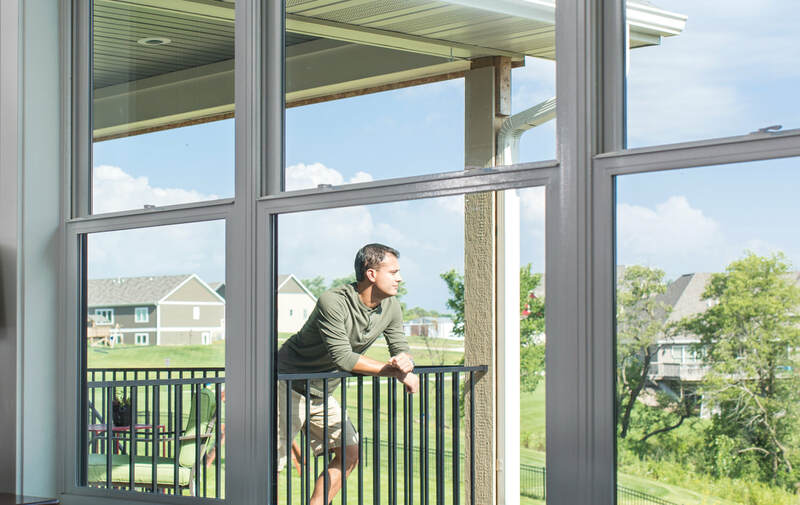 We hope this article helped make your decision on window material much easier. If you still have questions or need additional guidance, don't hesitate to contact an expert from Michael's Homes. 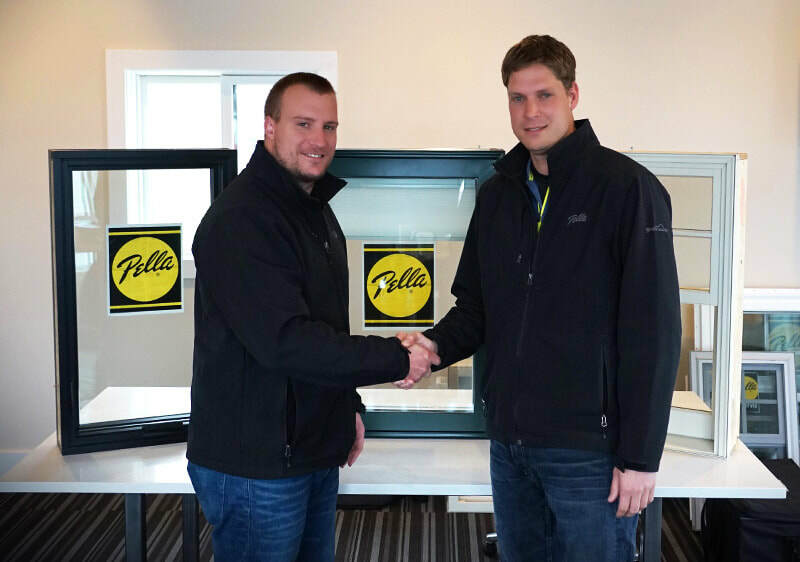 As the Upper Peninsula’s only Pella Certified Contractor, our staff is fully trained to offer our expertise and guidance on the best window choice for your home, lifestyle, and budget. Michael’s Homes, winner of the 2016 UPHBA Builder of the Year Award, is proud to be selected as the UP’s only Pella® Certified Contractor. The Pella Certified Contractor Program is a program in which Pella Windows and Doors Corporation selects only the most qualified remodeling companies to be Pella-endorsed contractors. Such a designation requires extensive training and product knowledge, as well as the ability to provide in-depth customer support, installations and appropriate warranty work. As a Pella Windows and Doors Certified Contractor, the staff at Michael’s Homes will be trained and certified in all aspects of the Pella line. This will enable them to expertly advise their customers on the perfect replacement window, door or garage door solution for their unique needs. 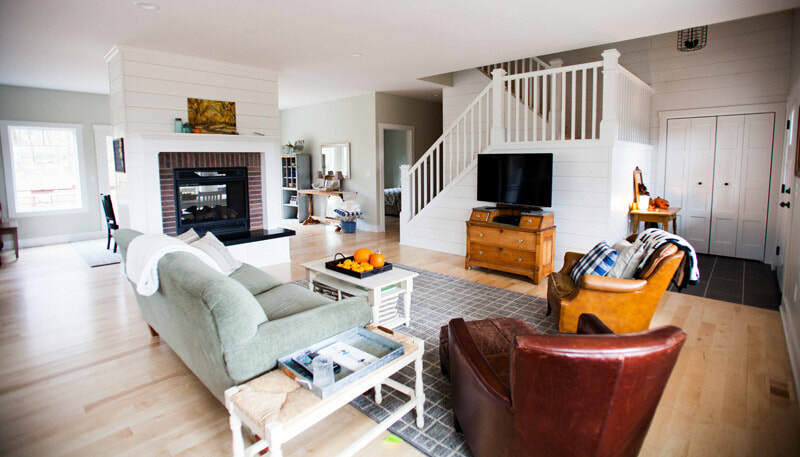 Michael’s Homes is the Upper Peninsula’s premier home builder and remodeling specialist, and they have been proudly serving the area since 2004. Besides having recently earned a Certified Aging-in-Place Specialist certification, this latest designation will allow them to better serve their clients in the remodeling market. As a Pella Windows and Doors Certified Contractor, the staff at Michael’s Homes will be trained and certified in Pella replacement windows, doors, and garage doors. The knowledge and training required to have earned this designation will ensure that their clients will have confidence knowing that Michael’s Homes will do the job right the first time, and their products will be backed by over 90 years of history behind the Pella name. For additional information about Pella replacement windows and doors now available from Michael’s Homes or the Pella Certified Contractor Program, visit http://www.mikebuilds.com/pella.html or call 906-401-0575. Don’t let one of the most beloved seasons slip away without giving it a proper send-off! Hosting a gathering of your closest friends and family is a great way to slow down and top off all the great memories made over the summer. Choose a setting that most appeals to you: a beach party to savor the delights of the seaside one more time, a harvest party to celebrate local food, or a best-of-summer party to share memories and reminisce on everyone’s travels. Here are some ideas that will help you put the perfect crown on a beautiful summer. Go to the beach for one last hurrah and do all of your favorite summer beach activities in one afternoon. Collect shells or rocks, build a sand castle, take a dip in the water, and go for a walk. You could also bring a football, frisbee, or volleyball to toss or bump around! When the hunger pains strike close to dinnertime, head home for a savory seafood feast. Fresh grilled fish, shrimp pasta, carmelized scallops.. enjoy a meal with your favorite seafood as the main focus. Crusty bread, grilled veggies, or roasted potatoes are great sides that complement seafood. Meet up after your local farmer’s market for some canning fun! Ask each person to come to the party with a bag of their produce of choice, and a mouthwatering recipe they’d like to use to preserve it. Find out ahead of time which recipe everyone is using so you can make sure you have all the necessary ingredients. Jam, salsa, and pickles are always a win! Once the last can has been sealed, settle in for a simple dinner outdoors. 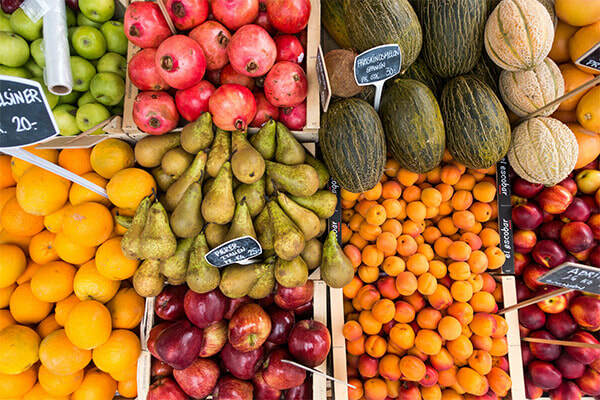 Keep it fresh and simple with ingredients found at the farmer’s market that can be made quickly. Serve a simple fruit and cheese tray for an appetizer, and then fire up the grill for dinner. Grilled peaches topped with ice cream or honey for dessert sounds amazing! Gather friends and family together so all can share their travels, funny stories, and favorite events of the summer. Ask each person to bring photos so they can take a turn to share where they’ve been. They may also want to bring mementos and an album to put everything in. After sharing favorite places and memories, you can use the photos to make scrapbooks or albums of that favorite summer trip. As host, provide a workspace with a selection of pens, glue, photo corners, and scrapbook paper. Your guests may want to help set up the party - delegate party tasks to each guests. Email a sign-up sheet to your guests in advance and ask your guests if they’d like to pick food, drinks, or party decor to bring. 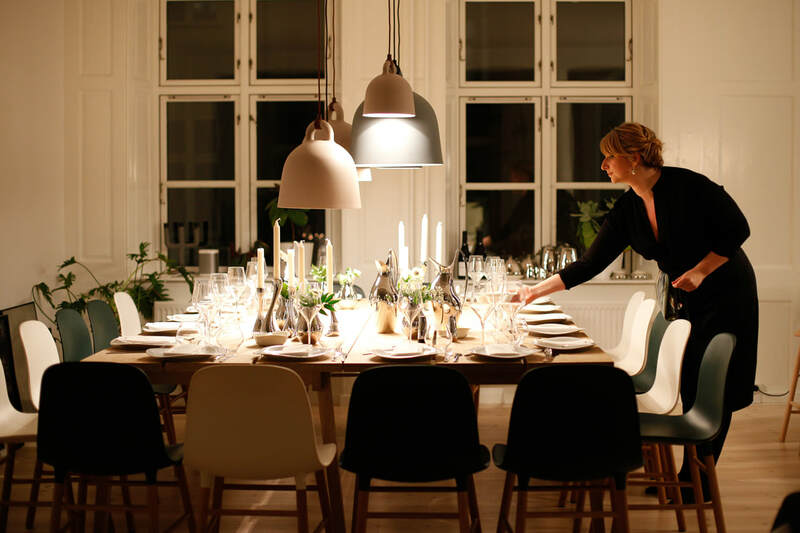 Some people don’t like to cook, but might love to bring decor like a mason jar of garden blooms or a string of outdoor lights to hang over the table. It’s a fun way to involve your guests and at the same time makes hosting the party a bit easier for you! Do you have a bash planned for the end-of-summer? If you were to use one of these ideas, how would you add to it? Remodeling is not just a weekend project..so how do you know when you’re ready to take it on? These 5 signs tell you loud and clear that you’re ready to renovate. You can already picture the completed transformation in your head. Whenever you have down time, you sit there with your cup of coffee and contemplate exactly what you will eventually do. Break down that wall. Add on a four seasons room so you can enjoy outdoor living more. FINALLY get that sauna you’ve wanted for years. Update your amenities with the latest and greatest. Whatever your plans for remodeling are, you’re constantly researching new ideas. Maybe a friend recently finished a beautiful renovation and you’re always coming up with new questions to ask them. If you’re doing one or more of these things, it’s a sure sign that you’re ready to talk to a professional like Michael’s Homes to find out how you can start making your remodeling dreams a reality! You’ve found the perfect “fixer upper”. Every now and then an old or rundown house comes on the market at a bargain price. Maybe you didn’t feel ready to take on a project like that in the past, but this time you feel confident that this is the one. Or maybe you inherited a property that has sat unused for decades. Either way, it seems positively providential. Your new neighbors will love you for turning the local eyesore into a freshly beautiful home! Your family is outgrowing your current house. 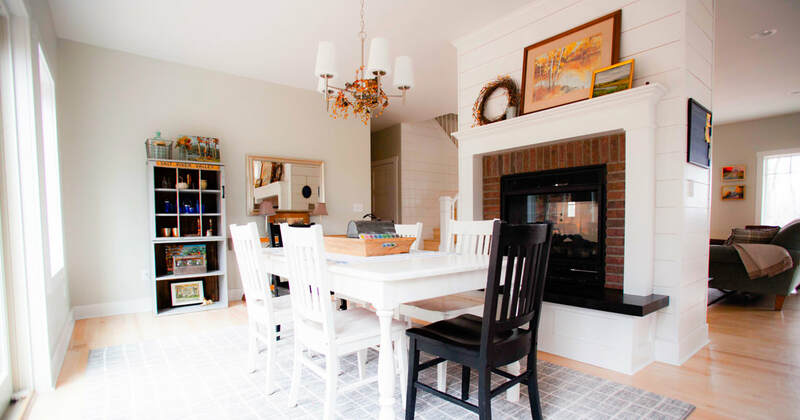 You’ve known for awhile that you’d eventually have to move so you could have more space for your growing family, but every open house that you go to leaves you feeling disappointed - it’s never quite right. Besides, you know how expensive and disruptive moving can be. You love the location of your current home, but there’s just not enough room anymore!. You want more space to breathe, entertain, and raise your family - especially during the wintertime! You have particular ideas about exactly what you want, and with a renovation, you know you can have just that. Your pinboard is packed. Whether you’re using a site like Pinterest or doing it old-style with magazine cut-outs and paint swatches on the wall, you’ve surrounded yourself with great ideas. They’re practically coming out of your ears. You’ve gleaned inspiration and ideas from a dozen sources. This is the first step to any big project like this, and perhaps the most important as well! Once you’ve discovered your vision for your home remodel, it’s time to get to work and make that a reality. You’ve renovated a home in the past and loved it. Many times those who’ve completed a renovation in the past and survived it come back to do it again. We all learn best from experience, and as with any project or achievement in life, there are things you’d do a little differently when remodeling the second time! You don’t get a lot of second chances in life, but this is one of them. If there are one or more signs telling you it's time for a remodel, then the next step is choosing the right partner for your project - someone who will work with you every step of the way. At Michael's Homes, our entire team are experts at combining design with function so that your new renovation project or addition will never look like an afterthought. Contact us today! Fill out the form below and a representative will contact you shortly.